Tuition: $40 per day; $20 for half-day, and a one-time $15 materials fee, plus lodging and meals. Make 2018 the year you nurture your intuition and creativity! Schedule a personal creativity experience with S. Gabriele as it fits for you, perhaps as part of a private retreat for spiritual exploration or as precious time for play and relaxation. The day(s) can be designed to resonate with your own pace. S. Gabriele will be available for personal intuitive painting guidance and conversation as needed throughout your time in the studio. Call 715-267-7507 to schedule amazing personal studio time! 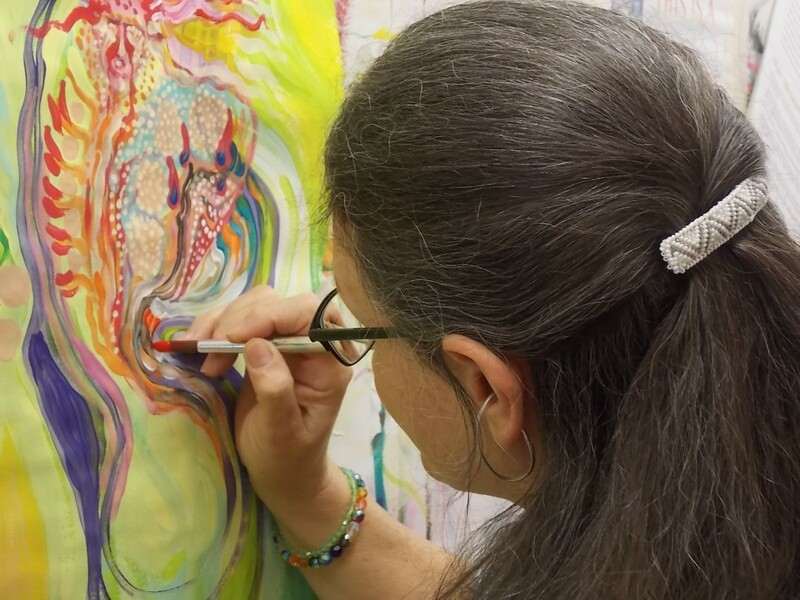 To learn more about the intuitive painting process see the Painting from Soul: Intuitive Painting Open Studio web page.